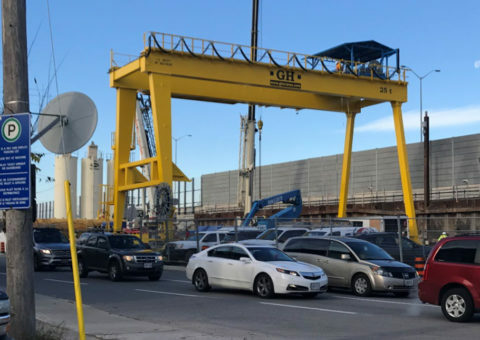 Lloyd Schwantz (Kelso’s Ottawa Sales Manager) introduced our CN2000 crystalline waterproofing system to the General Contractors who are working on the CSST project which is a $232.3 million investment and part of the Ottawa River Action Plan. Funding is being provided by the Government of Canada, the Government of Ontario, and the City of Ottawa. The Government of Canada and Province of Ontario are each providing $62.09 million. In addition, the City has committed $108 million. 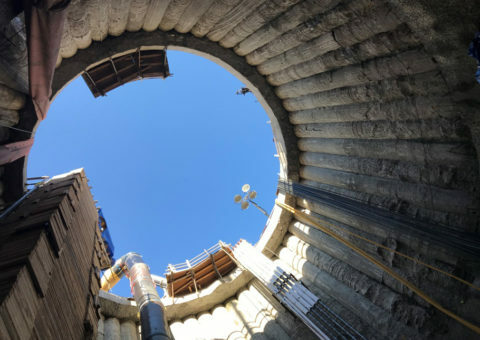 The Combined Sewage Storage Tunnel (CSST) is one of the most important projects of the Ottawa River Action Plan (ORAP), which is the City of Ottawa’s roadmap to protect the Ottawa River for future generations. The CSST will greatly reduce the frequency of sewage overflows during storms from entering the Ottawa River, and will help protect the river. 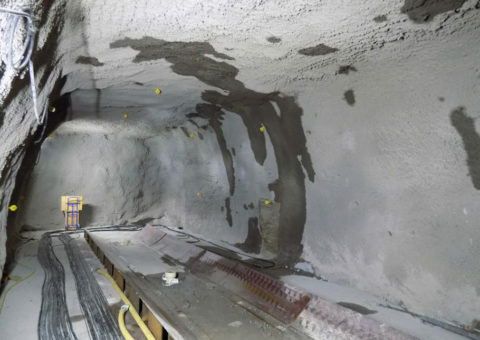 These tunnels will hold up to 43,000m3 of sewer overflow during major rainfalls, the equivalent capacity of approximately 18 Olympic sized pools. Once rainfall has subsided, this water will then be treated and returned safely to the Ottawa River. 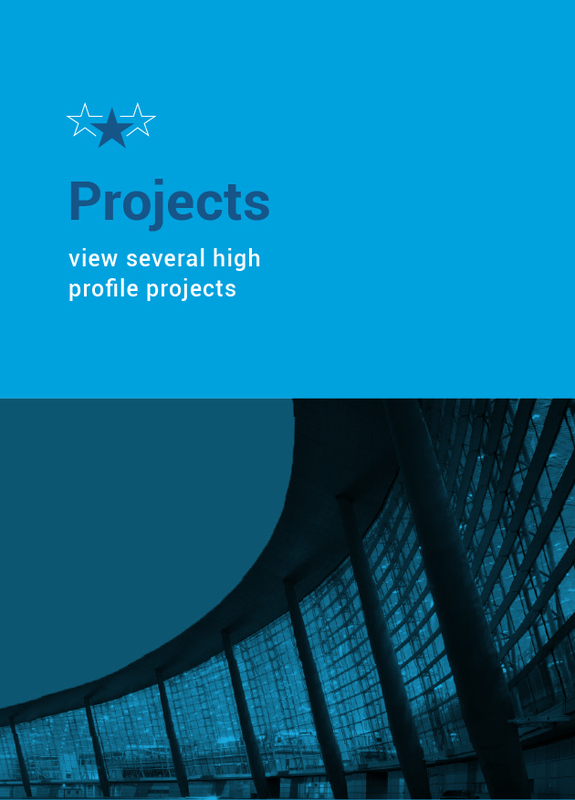 Increasing operational flexibility and redundancy to major collector sewers. 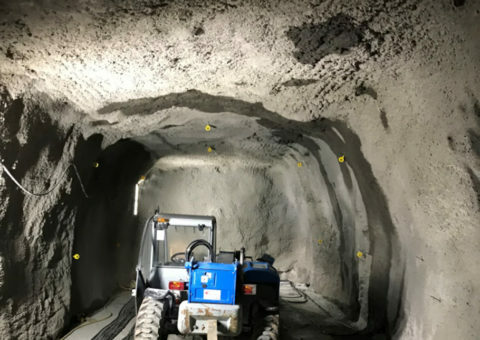 The tunnels will be a total length of six kilometres, approximately three metres in diameter, and 10-31 metres below ground level. The CSST project will also include the construction of support buildings, such as odour control facilities. 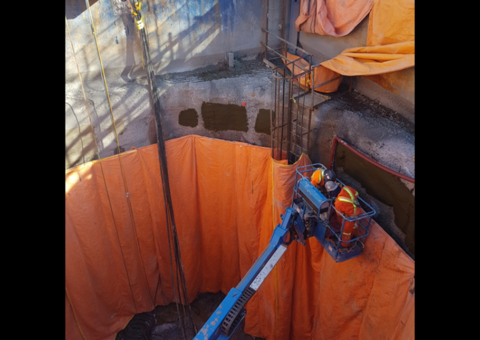 The challenge was during construction, the water infiltration was coming through the shotcrete and in the winter it would freeze. 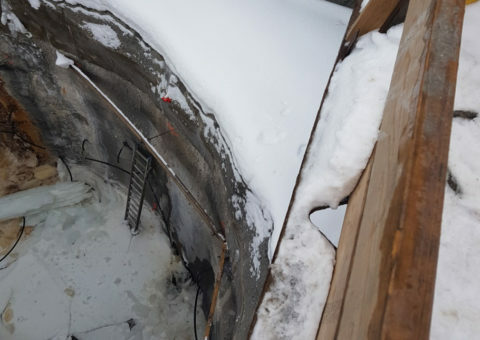 This became a working hazard for the employees working below due to the ice freezing and potentially falling on a worker below. 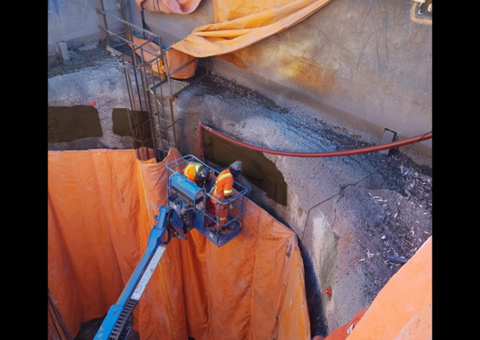 Dragados and Tomlinson have an impeccable health and safety record and to continue their track record, they called Kelso to assist them with terminating their water infiltration issues on their shotcrete. 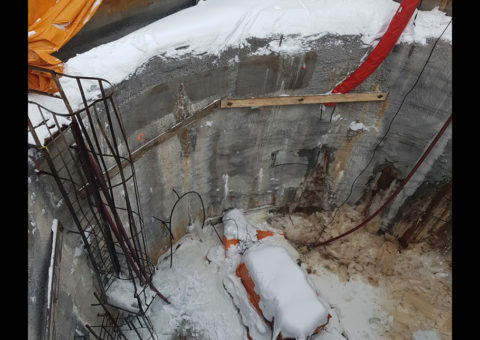 In short order, Kelso’s certified team mobilized to Ottawa and with the assistance of Dragados/Tomlinson hoarding and heating the area to be treated with our CN2000 waterproofing system, we successfully were able to terminate the major active leaks immediately so that construction can continue. Kelso is continuing to work with the Joint Venture to continue this work in their shafts as they are being constructed. 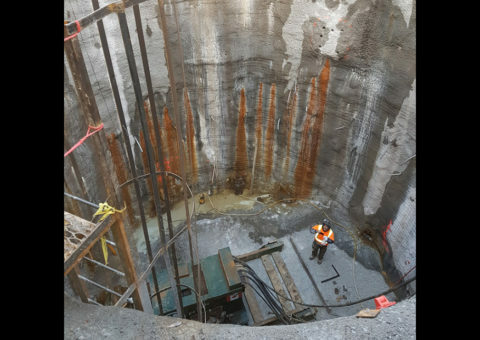 Kelso’s certified application crew stopped leaks by applying the CN2000 waterproofing system. 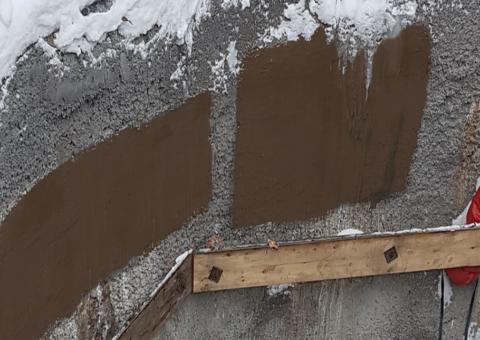 Do to the cold temperatures in December, the General Contractor provided heating and hoarding to maintain the temperature of the concrete at minimum 10° Celcius during application and 24 hours after application. 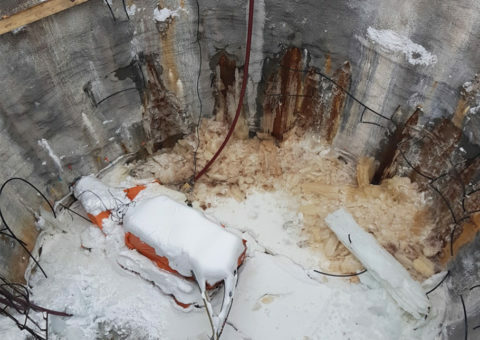 After the CN2000 system was applied on the shotcrete shaft structure where required, the issues of ice forming on the walls of the shaft were resolved and contractor was able to continue their work. The typical CN2000 crystalline waterproofing system was applied on the interior of the shaft. 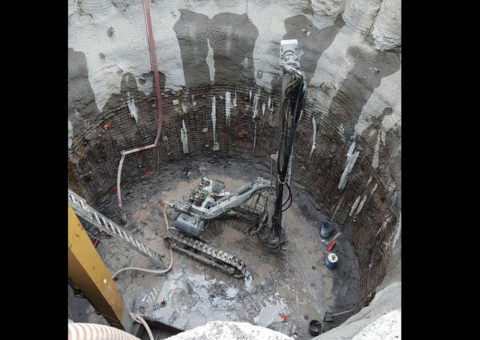 This consisted of CN2000A insta-plug to terminate all active running water and leaks infiltrating the shotcrete. Apply one coat of CN2000B crystalline coating. After initial set, apply a second coat of the CN2000B coating in a perpendicular direction of the initial coat. Once the second coat of CN2000B has initially set, apply one thin coat of CN2000 C & D to keep our CN2000B crystalline material to remain hydrated.